Philippine Ambassador to Spain H.E. Philippe J. Lhuillier swore into office Atty. Chona Abiertas Tenorio today as the new Philippine Honorary Consul for Barcelona. In his remarks, the Ambassador underscored the importance of public service and the improvement of trade, economic, political and cultural cooperation between the Philippines and Spain. He encouraged Consul Abiertas to uphold her oath and wished her good luck in her new endeavor. Consul Abiertas is the first (and, so far, only) Filipino to be appointed as Philippine Honorary Consul in Spain. She is a practicing lawyer who, by sheer determination and perseverance, was able to achieve her dreams. She came to Spain as an Overseas Filipino Worker but continued to further her education while working, until she graduated with a Law degree from the University of Barcelona. Her success story, which continues to inspire Filipinos around the world, proves that there is nothing impossible if you work hard for it. Consul Abiertas declared her readiness to serve her fellow Filipinos in Barcelona and the Catalonia Region. In her acceptance speech, Consul Abiertas pledged to assist and protect the interests of Filipinos in her area of jurisdiction. 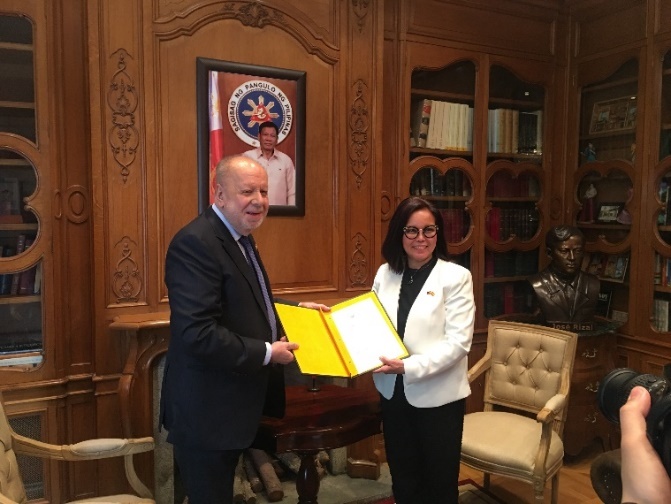 She also affirmed her commitment to foster further exchanges in terms of political, cultural, trade and tourism cooperation between the Philippines and Spain. Barcelona is one of the major cities in Spain, while the Catalonia Region itself is home to approximately 15,000 to 20,000 Filipinos. 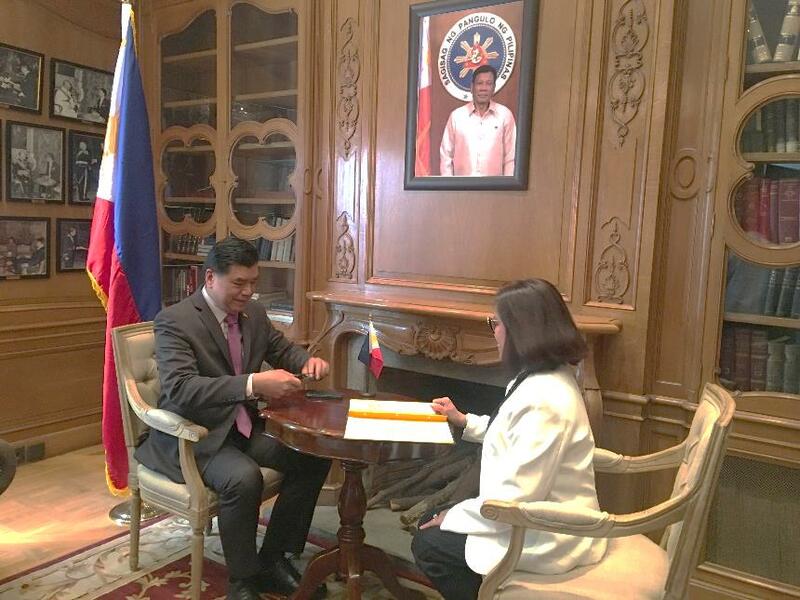 Prior to undergoing the intensive two-day training on consular services and briefing on political, economic, cultural, tourism, labor, welfare, administrative and financial concerns, the newly appointed Honorary Consul was also briefed by Deputy Chief of Mission and Consul General Emmanuel R. Fernandez on how she could effectively carry out her duties and responsibilities as the representative of the Embassy and of the Philippine government in general, in her area of jurisdiction.